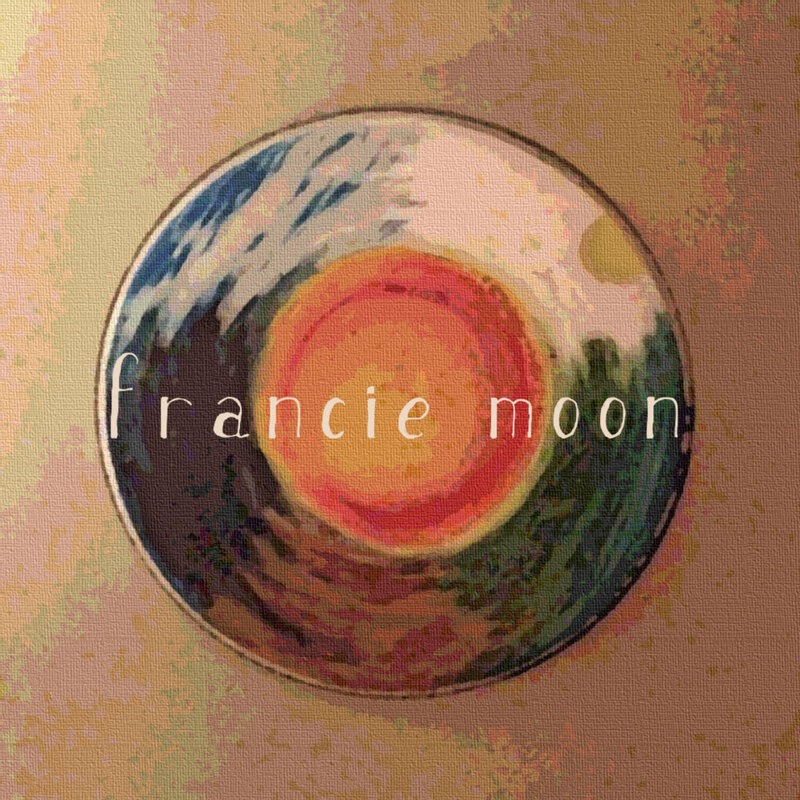 We have been big fans of Francie Moon ever since we first heard the bluesy, soulful garage rock of her Glass House EP a few years back. 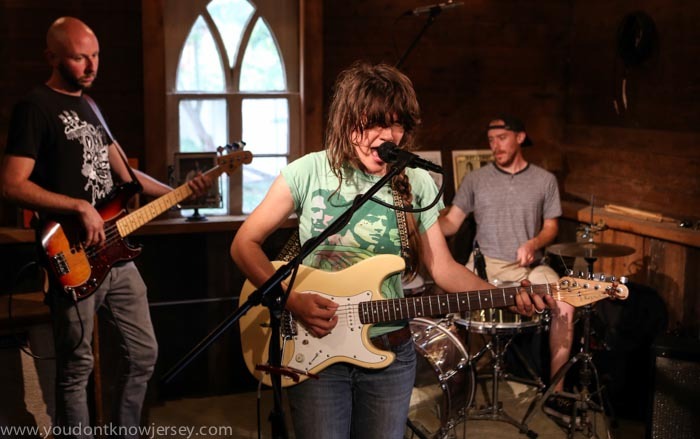 Then we saw her live in the mountains of Sussex County for her Moon Raiser event and her powerful performance just confirmed what we had learned from her recordings; this is an electric performer who can shred guitar with the best. One of the admirable traits of Moon, real name Melissa Lucciola, is her drive. 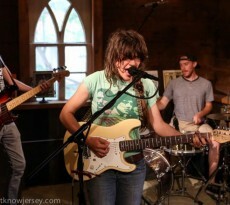 Like my hero Jack Kerouac did in the 50s, she and her band are always traveling and soaking up the experiences that the road offers. Playing in bars, coffee houses, basements and clubs she brings her music to the people wherever she roams. 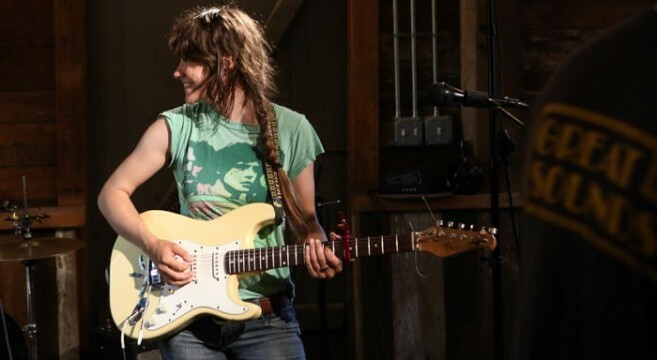 Living a true DIY lifestyle and music career, she is 100% dedicated and it shows. Opener “Walked Away” has the classic Francie Moon sound I’ve come to know and love. Lo-fi, bluesy guitar with slightly distorted, echoed and dynamic singing. A powerful number that displays Moon’s impressive vocal and guitar range. She is often described as a free-spirit and that comes across here as the song has a late 60s vibe to it. “West Virginia” appeared on the aforementioned Glass House EP but gets a tempo adjustment here. Slowing down a bit allows the song to really simmer. 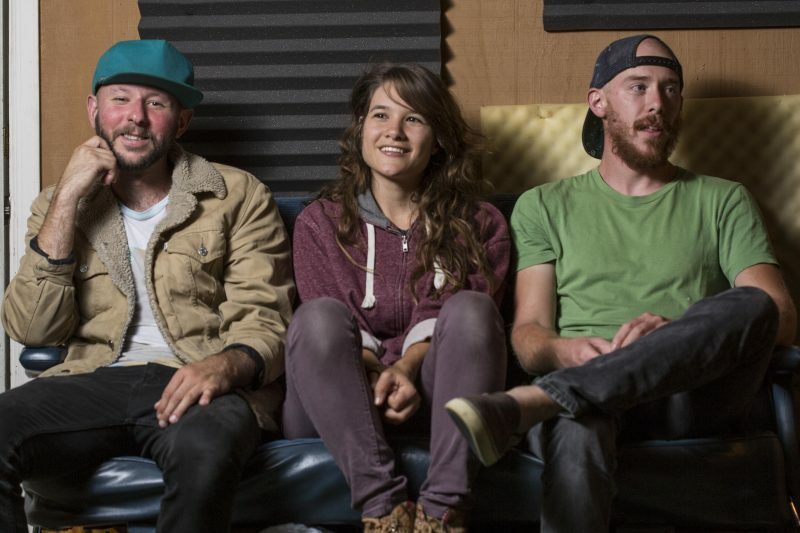 Closer “Red Cloud Road” is a jangly excursion complete with ethereal backing vocals. A blistering guitar solo ends the song and album perfectly. Your music can be described as bluesy lo-fi rock. What is it about this sound that appeals to you? It just feels good to me. The music I like makes me really happy. Bluesy stuff has always struck a deep chord with me. It always gets me. And the lo-fi music I like always has a lot of this energy that makes everything feel fun when I’m listening to it. So mixing the two together is what happens naturally for me because it’s what I like! You have toured extensively and seen a lot of the country in the last few years. What is it about traveling the roads of America that make it special? When I was in 5th grade I had this teacher named Ms. Vanderploog who came to class one day and showed us pictures from her cross-country adventure that summer. She told all these stories about camping with her sister, getting a ride on a motorcycle at the Grand Canyon, almost losing her purse and she taught us all about the states. She really instilled an interest in me to travel and see everything. When I was 16 I went to the desert for the first time with my mom and my aunt and I remember having this amazing, incredible feeling of awe while we were driving through the flat land. All my favorite colors were everywhere in the landscape. I took a picture of my face while experiencing that moment and decided I wanted to feel that way as much as I could during my life. So once I started touring I was ecstatic. There is so much to see in North America. It is so beautiful. There are the Redwood Trees, Niagara Falls, the Rocky Mountains, the desert, the Great Lakes, the Everglades, the Pacific coast and so much more. There’s even Native Reservations that look and feel like a whole other country. And the more I travel the more I appreciate where I’m from. I’m totally in love with the woods and farmland of NJ where I grew up, there’s no where like it for me and I take it with me everywhere I go. So to me traveling and touring around this country is so special cause there is so much diversity of things to see, endless routes and opportunities to meet awesome people, and so much left for me to still explore. With all the traveling and gigging how do you find time to write new songs? What inspires your songwriting? 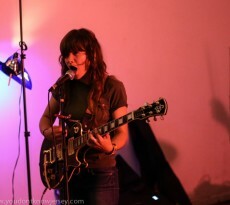 My music mostly comes to me when I’m by myself, which is hard to come by on tour and being a house guest most nights. So I tend to write a lot of lyrics when I’m on the road and then when I get to a home base for a while I start writing music. But I’m trying to get my songwriting self to be less of a hermit these days. It’s my new goal, we’ll see how it goes!! As for inspiration, I definitely sing about nature and how I learn from it a lot. But usually I just grab the notebook or guitar, let it happen, and let it keep on happening. You truly represent the DIY esthetic whether creating music, designing your t-shirts or conceiving and producing your own album art. How important is it to have such a hands-on approach? I’ve found having a DIY approach to be really special and personable. It’s fun for me to make my own album art and be creative in that way. Also, I can bust out 50 t-shirts in a day if I need to. Or make as many covers and CD’s as I need at any time because I have all the materials. I can choose where and when I want to go on tour and who I want to tour with. But, aside from all those perks, there are awesome benefits to working with people too. I’ve worked with really talented friends who’ve helped with art and flyers, recording and even booking tours, which really helped give me more time to focus on just playing music and not burning out. However, I think in this day and age with all the social media in the forefront, artists and their fans are connecting more and more in a personal way. So having a hands on approach may be beneficial to that connection because fans are able to see and learn more about who they’re listening to. Did you enjoy growing up in New Jersey? Yes!! I was lucky enough to grow up in Sussex County. So I had full access to farm land, woods, fields, the sunset and lots of stars, Stokes State Forest, swamps, the highest point in NJ (High Point), horses, etc….you get the idea. I’ve even befriended a couple trees in my day!! But it honestly took me leaving the area for a while to truly appreciate it and realize how it shaped me into who I am today.